Aircraft information: The Citation Mustang is a light jet and was launched in the very light jet category by Cessna. The first flight of the Citation Mustang jet took place on April 23, 2005 and was certified by the FAA on September 8, 2006. The first delivery was on November 9, 2006. The Mustang was the first jet aircraft certified and equipped with the Garmin G-1000 avionics package. The aircraft is approved for single pilot operations and has a standard seating of 4 passengers in the cabin and two in the cockpit. There are currently over 425 aircraft delivered from the Cessna manufacturing facility in Independence, Kansas. Premier Jet Training – The Florida Based Company Not Only Gives You Training, But They’re All About Selling You Time and Flexibility – Click to view our Gallery. Citation Mustang Type Rating course leads to the Pilot in Command type rating. This type rating will be added to a FAA Private, Commercial, or Airline Transport Pilot license. This Citation Mustang Type Rating course meets the FAA Type Ratings practical standards (which is the same as the ATP practical test standards). Upon completion of the practical test, a Pilot in Command type rating (for PIC type rating) will be added to a FAA license. Since the practical test and check-ride is completed in the aircraft, there will be not be any restrictions on your license. There are two type ratings available. The crew type rating CE-510, in which case a second in command is required or the CE-510S type rating which allows the aircraft to be flown as single-pilot. If you have any questions feel free to read our FAQ page. Get your Citation Mustang Type Rating! This Citation Mustang Type Rating course leads to the Second in Command type rating. This type rating will be added to a FAA Private, Commercial, or Airline Transport Pilot license. Get your Citation Mustang Type Rating now! This Citation Mustang Type Rating course leads to the Pilot in Command type rating. This type rating will be added to a FAA Private, Commercial, or Airline Transport Pilot license. This CE-510 type rating course leads to the CE-510S Pilot in Command type rating. This type rating will be added to a FAA Private, Commercial, or Airline Transport Pilot license. Get your CE-510 type rating now! This Citation Mustang Type Rating recurrent course meets the FAA type ratings practical standards, and the requirements of 61.58. 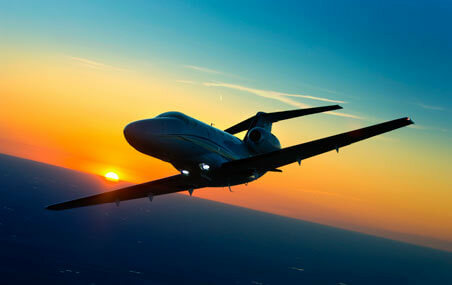 Upon completion of the FAA Check-ride, a 61.58 endorsement and a recurrent course completion certificate will be issued.